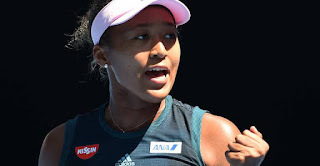 The sports apparel giant has announced, the world Tennis number one player Naomi Osaka accepted the deal with Nike. U.S. sportswear maker said on its website, the Japanese, who was tied to rival Adidas, will put on her first Nike gear at the Stuttgart Grand Prix later this month. “I feel blessed having myself to become a member of the Nike family and excited about getting involved in all of the opportunities Nike has to offer,” said Osaka in the statement. “She is an incredible talent to add to our roster and help drive our commitment to inspiring a new generation of female athletes,” so we are excited to have her joining our team, Nike VP Amy Montagne added in the statement. Her ascent to the top of the women’s game has made her a hot marketable commodity for the world’s top brands. Osaka already has deals with Japanese airline All Nippon Airways, car manufacturer Nissan and watch company Citizen, among others.